The Sony XDR-S60DBP is discontinued. 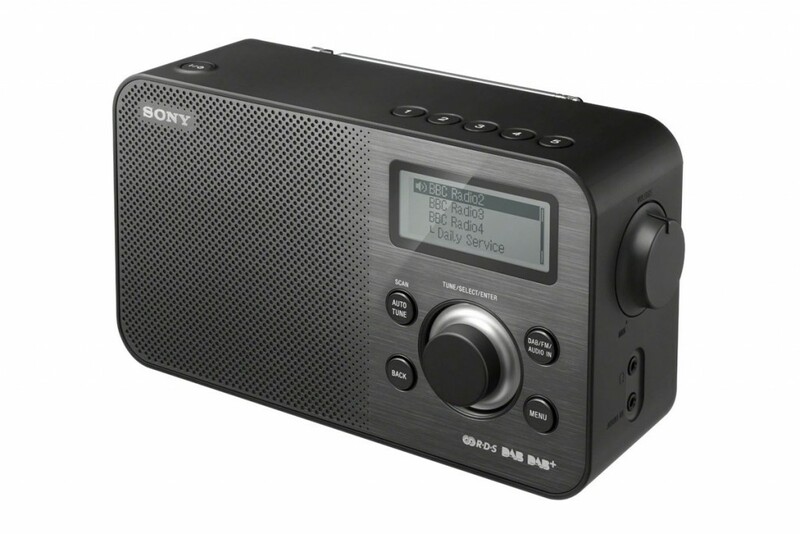 The new Sony XDR-S61D portable radio comes in four colours. Earning itself a four and a half star rating on Sony’s own website, this stylish portable DAB model is worth considering if you are looking for retro design without sacrificing functionality. This colourful model shares a lot of its aesthetic qualities with other portable radios made by Sony. The XDR-S60DBP, however, is a little chunky, weighing in at 1.3kg (including batteries), but compact all the same. Its 1W output power is channeled through a large mono speaker which makes up half of the front panel. A telescopic antenna provides ‘interference-free reception’ when listening in digital. The panel to the right has a clear, four row display. As well as listing available stations it makes ‘scrolling text’ easier to read. The radio is equipped with both a sleep timer and clock display – which can be set to turn off in multiples of fifteen minutes up until one hour. Below the dislay sits a tuning knob and four buttons with simple commands: DAB/FM/AUDIO IN, MENU, BACK and AUTO TUNE. Another knob on the side of the radio controls the volume. Five buttons on top of the player act as programmable presets for DAB/FM radio stations. Up to five DAB stations and five FM stations can be saved using this feature. An audio in jack allows for other devices, such as smartphones and music players, to be plugged in. This converts the radio into a speaker dock – great for getting a much better sound from digital music in small gatherings or while out in the garden. The Sony XDR-S60DBP can be powered from the mains with an AC adapter, or use three LR14 (size C) batteries for use without a cable. Battery life for DAB is clocked at sixteen hours, fourteen for FM and twenty-four for AUDIO IN use. The radio also alerts you when it is running low on battery. For privacy or more intimate listening a 3.5mm headphone jack is available for earphones or headphones. Available in red, black and white; compact and stylish, this portable radio from Sony with its simple interface and array of essential features does not fall short of earning its four and half star rating from users. Verdict: This highly rated model from Sony builds on the features found in its smaller siblings.